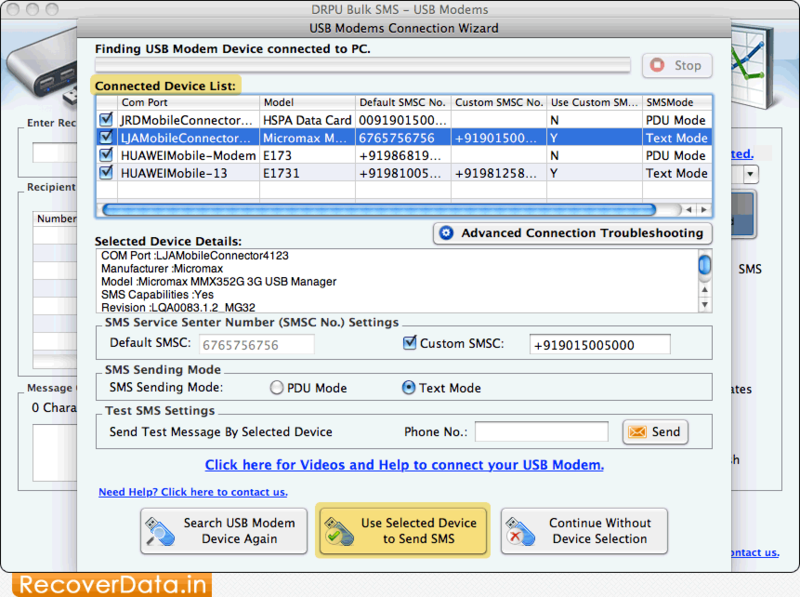 To connect USB modem with software, click 'USB Modems Connection Wizard'. 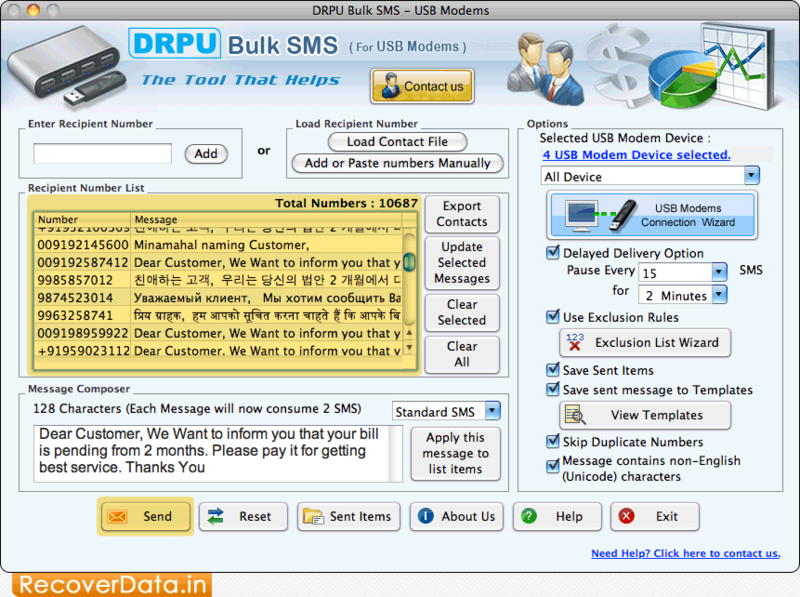 Select your device from 'Connected Device List' box and then click 'Use Selected Device to Send SMS' button. 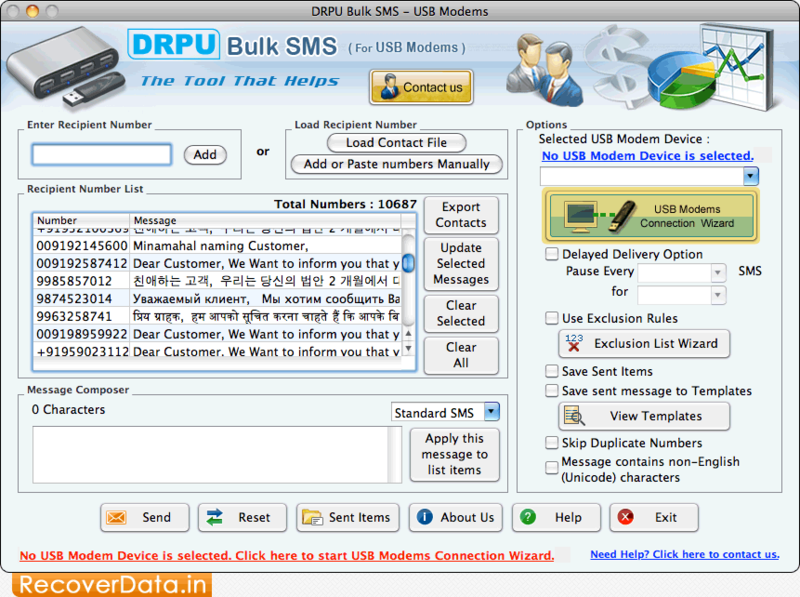 Click 'Load Contact File' or 'Add or Paste numbers Manually' options to load recipient contact numbers. 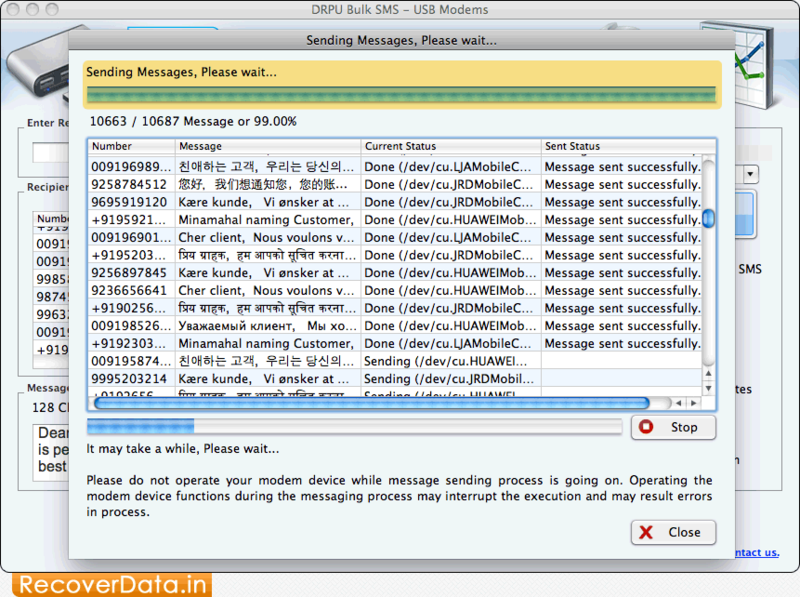 progress bar to view running status of Messages Sending Process.